ACTIVATED ALUMINA, SILICA GEL, MOLECULAR SIEVE, ACTIVATED CLAY AND CONTAINER DESICCANT STRIPS. 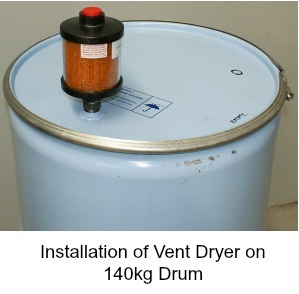 Desiccants, (Molecular Sieve, Silica gel, Activated Clay, Activated Alumina), Desiccators, Humidity Indicators, Transformer Breathers, Vent Dryers, Pipeline Dryers, Document Ports, Pressure Relief Valves, Immersion Proof Breathers, Nitrogen & Dry Air Purging Systems and Accutools BluVac Digital vacuum Gauges. Protect you Liquid Assets from moisture ingress. Simple to install & maintain. Desiccant changes colour at saturation.